Delaware Casino Parties has been offering poker instructional sessions and tournaments to small to mid-size businesses for over twenty-five years to develop business skill sets for both employers and employees. Easily implemented as a mid-day company break, it requires minimal setup, time or expense but offers significant returns. According to an article on Bloomberg’s Businessweek, poker pro Deepak Thandani stated that “people who are successful in poker have a lot in common with people who are successful in business.” The fact of the matter is that from negotiations and risk assessment to strategic decision making, the game of poker has very practical applications for business, sales, company management, and entrepreneurship. 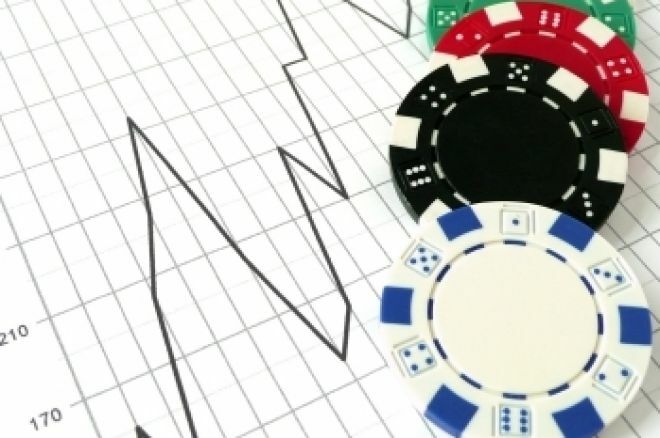 In poker and business, one is constantly calculating risk – measuring potential gains and losses. It involves assessment, math, and instinct to calculate when the odds are predominantly in your favor. It is the ultimate challenge in decision-making skills to come out ahead. Everything about a poker tournament teaches you endurance and how to deal with pressure. It is about focus, going the distance, and “sticktoitness” while under pressure. It is about dealing with short-term losses while striving for long-term gains. Poker and business are both about planning ahead and developing a strategy. It is not only about developing these tools but implementing them. Strategies developed must work consistently while still having enough flexibility to adapt to new situations and variables one may encounter. It is also about evaluating your strategy and being able to evolve to be successful. Good Poker players make the best sellers. They quickly evaluate their hand, what the other players at the table want and what they are prepared to hear. Business requires the same skill sets. It is about learning how to negotiate with others who have the same goals of coming out ahead. Poker is about knowing your limits. In other words, it is about setting and defining goals before you begin to play the game. How much money is available and how long can you make it last. How do you invest your money to make more money? Can you risk short-term losses to achieve long-term gains? How well are you at defining risks? Every poker player has lost a hand or a game at some point. The business world and sales is constantly dealing with loss and rejection. Every entrepreneur knows that loss is one of the best teachers and motivators for future success. Being able to stay calm and focused is key. What one learns is to avoid panic and to plan your next course of action. It builds confidence as you learn from your mistakes. Great poker players and business persons learn not to repeat the same mistakes! Poker is about continually learning new skill sets. It is not about gambling and any true poker player will tell you it is not a game of chance. Poker, as with any business, is about developing tools and knowing how and when to best use them. It is about developing and deploying strategies. It is learning and observing new trends, understanding your competition, assessing your next move, making sound investment decisions, and learning when it’s time to walk away. It is a life long skill set that leads to continued growth and success. $350 per table with a dealer for 4 hours. Each table accommodates 9 players plus the dealer.